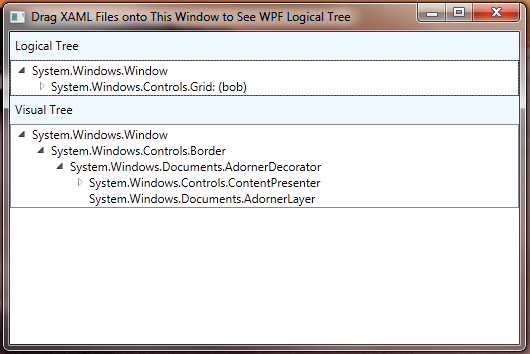 Here’s a little WPF application that can load .xaml files and then display the underlying logical and visual trees. It uses the LogicalTreeHelper.GetChildren and VisualTreeHelper.GetChild methods to recursively descend through the logical and visual trees and display them in two TreeView controls. (Currently only works if root element of the .xaml file is a <Window> element).